I must apologize in advance. Today’s post, and likely tomorrow’s post, are shaping up to be gratuitous and annoying. It’s just that today was really awesome. 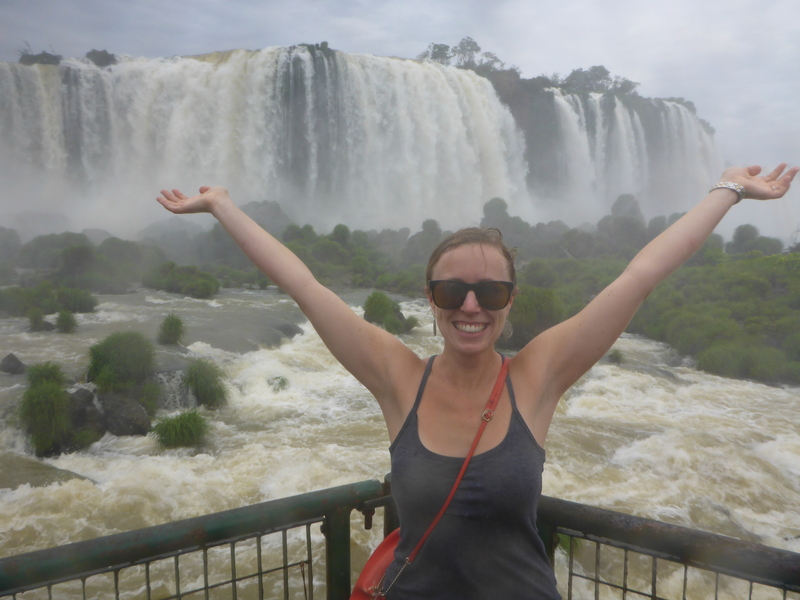 Iguazu Falls blew me away and I can’t wait for more tomorrow. A few weeks ago, we decided to make the best of our hurry up and wait time by booking a trip into Brazil. We hadn’t planned to include Brazil in our travels, primarily because we didn’t think we’d have time to do it justice, but, once we realized we’d have more time to kill, we started making plans. For me, that meant getting a visa. Since we didn’t start thinking about any of this until after I had flown to Berlin to meet Wolf, that meant I needed to get a visa in a hurry. To make it real complicated, we didn’t want to book our flights until we knew I could get a visa in the short time frame we had available (otherwise, getting me into the country would involve an uncomfortable ride in Wolf’s suitcase). So, in a classic chicken/egg ordeal, we walked into the Brazilian embassy in Berlin, with a copy of my flight itinerary to Santiago, along with the container ship booking, thinking it would work just find to explain that I have a ticket to Chile and we planned to drive our car into and out of Brazil (a lie). We figured this would work so that I could get the visa before we knew we actually had to buy the flight which I should have shown as proof in order to get the visa that I needed to enter the country… we can go round and round with this one. Long story short, the grumpy lady started asking questions and promptly rejected me. She needed me to prove that if they let me into the country, I had a ticket sending me back out again. Fail. Rather than doing the logical thing and booking the flight, we decided we should just try another embassy. So, once we arrived in Munich, we did just that. We met with a kind, bubbly agent who may or may not have even glanced at the same itinerary I had tried using in Berlin, reflecting a one way ticket into Chile. We didn’t bring anything up about not having a flight or our (fake) plans to drive in. And she didn’t ask any questions. She breezily chatted with us and made copies of all the documents I supplied, and a day later emailed to tell me my visa was ready for pickup. Just like that. 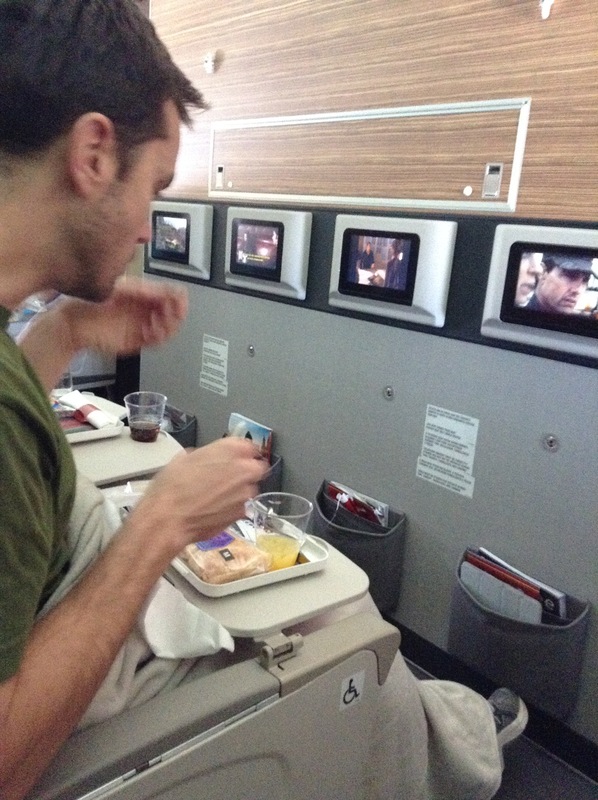 I share this primarily because it’s a fun anecdote about our trip and a neat little win for us. I also share this in the event that something goes horribly awry here. And now you all know the truth in case I’m detained in Brazil :) For any Brazilian embassy folk who may be reading this please rest assured that I do have a flight in and out of your country and I promise not to break any more rules. Or not very many, anyway. In any event, we made it to Brazil!! 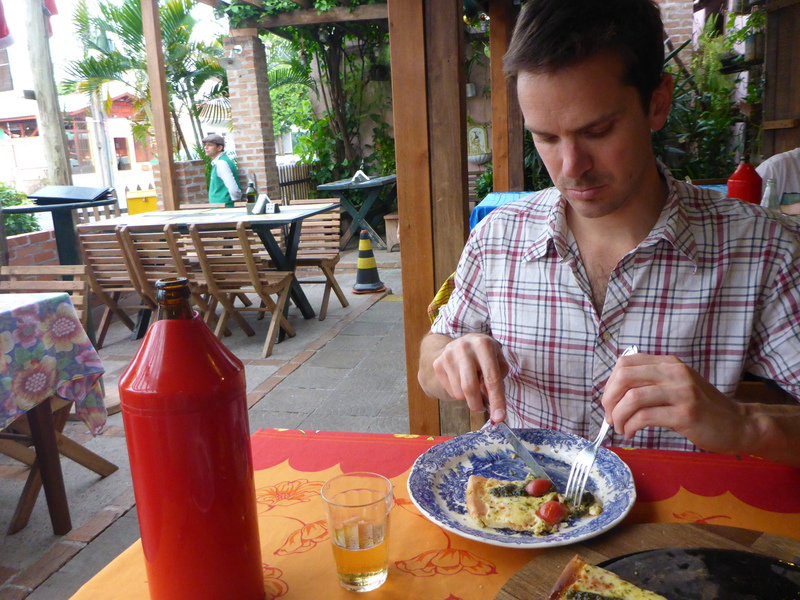 By the time we made it to Foz do Iguacu around 2am we were just about done for. Our maniacal taxi driver raced into town and we pretty much crashed. After breakfast at the hotel this morning we grabbed the local bus and headed out to the falls. It’s always fun to see how public transportation works in different places. In Santiago we found the metro to be super clean and easy and fun (granted, we avoided rush hour on purpose). Here, the bus terminal was also pretty simple but I don’t quite get the system. At the central bus station you paid at a turnstile but you aren’t given a ticket or proof of payment in return… and there’s nothing stopping you from just walking through the wide open driveways and just sauntering onto your bus of choice. Confusing but interesting. A quick trip through town and past the airport brought us to our stop where we grabbed a shuttle into the national park. 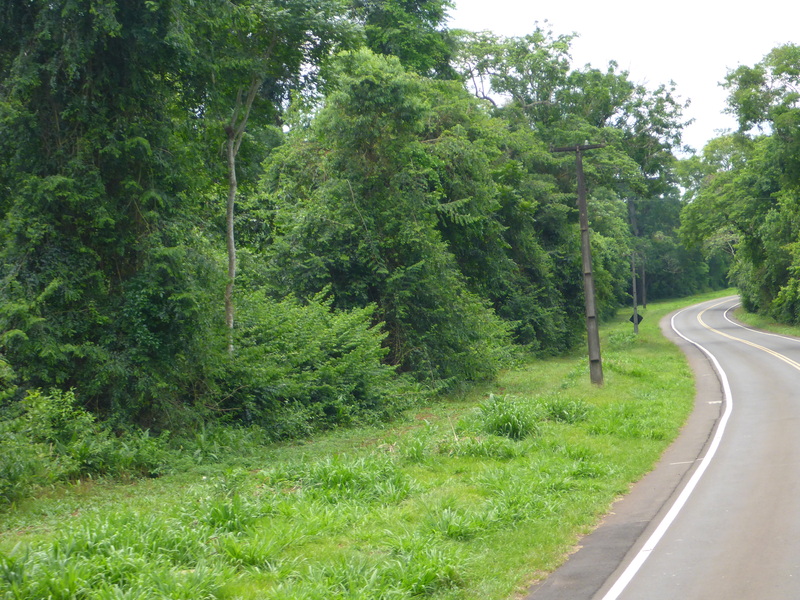 The ride itself was gorgeous – lush jungle on either side of the road leading us to the trailhead. My expectations were low as we hiked our way down to the first viewpoint – Wolf has been here before and perhaps purposely shared little so that I would be able to form my own opinion (something he does whenever appropriate and a trait I adore in him). It only took one glimpse of the massive wall of water to produce some sort of excited squeal. From Wolf. Just kidding – from me J I sort of figured it would just be a big waterfall. And it is. But it just felt powerful and amazing and peaceful and inspiring to be there. And I’m so thankful we made it. We walked the trail along the Brazilian side of the falls, stopping to take many, many photos, ending at the boardwalk which takes you out above the water and towards the center of the falls. Perhaps I should have done a tad more research, or maybe even read a sign or two at the entrance to the park, and then I would have been prepared. But I wasn’t. So, it was at this point that I noticed EVERYONE pulling out their ponchos and rain jackets and performance weather gear. 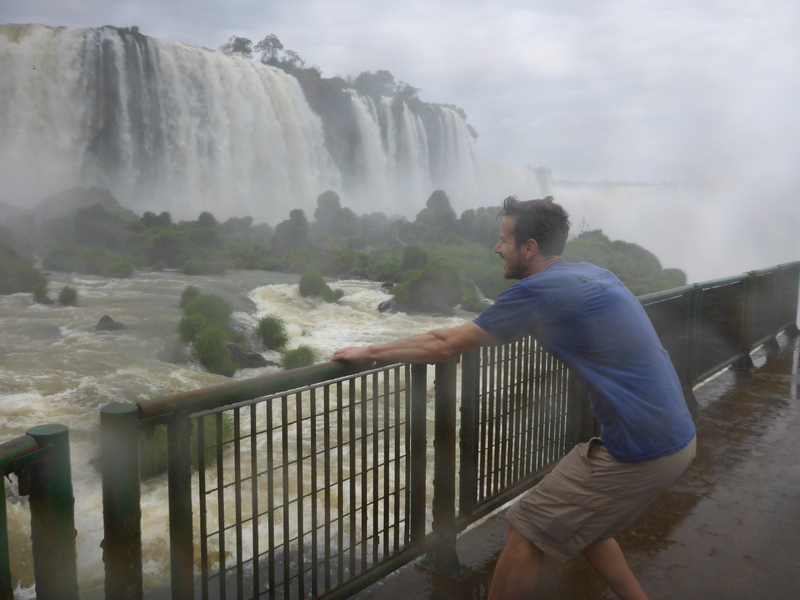 I suppose that logically, when one walks out to the middle of one of the largest waterfalls in the world, one should expect to get wet. Instead of preparing for such an eventuality, I went with a tank top and shorts. And to be honest, I’m glad I did. Walking out along the boardwalk, we were no match for the spray and mist from the falls and Wolf and I were both soaked by the time we made it to the furthest point. It was totally hilarious and completely memorable and every moment that we weren’t admiring the view in awe, we were laughing. For your viewing pleasure, we posted a couple of videos to give you an idea of the windy, wet experience we had on our walk (sorry about the YouTube links but best available solution for us right now). 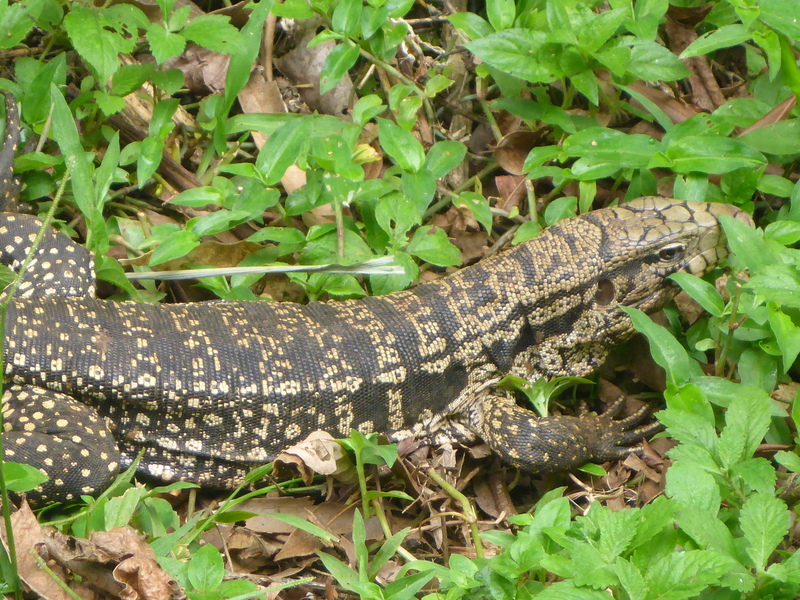 The other great surprise today was plenty of fun creatures hanging out along the trail. 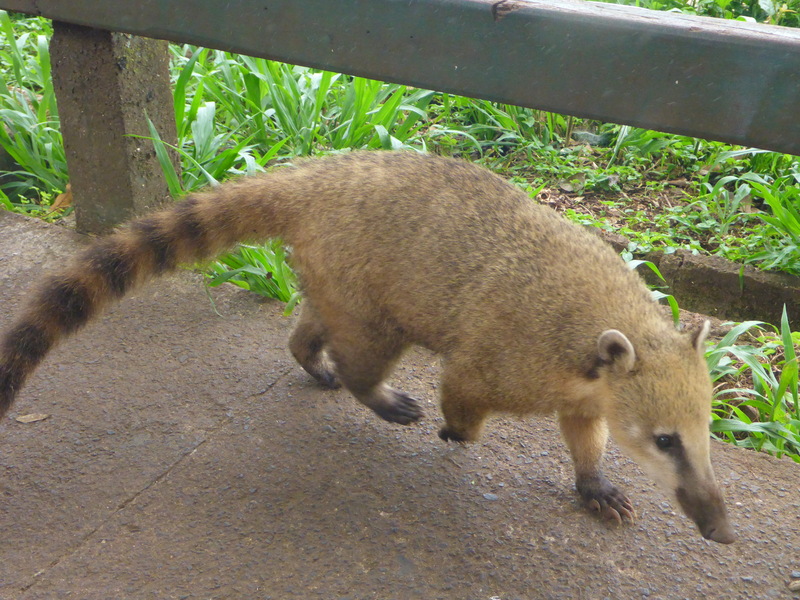 The cute, furry little coatis were EVERYWHERE. I mean, EVERYWHERE. They’re hanging out around your legs, and wandering through the crowd, and they’re just so cute I thought Wolf might smuggle one home with us. 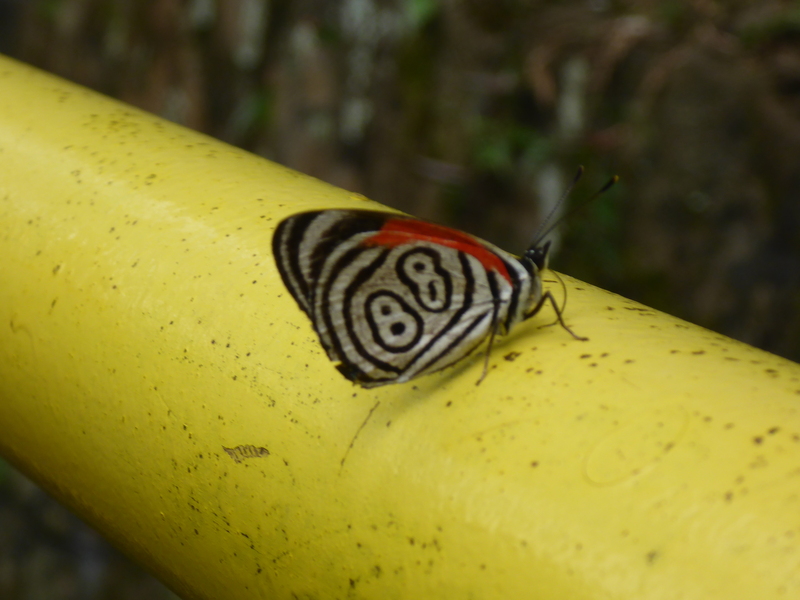 There were millipedes, caterpillars, big spiders, and cool butterflies (is it just us, or is does this one have the number 88 on its wings? 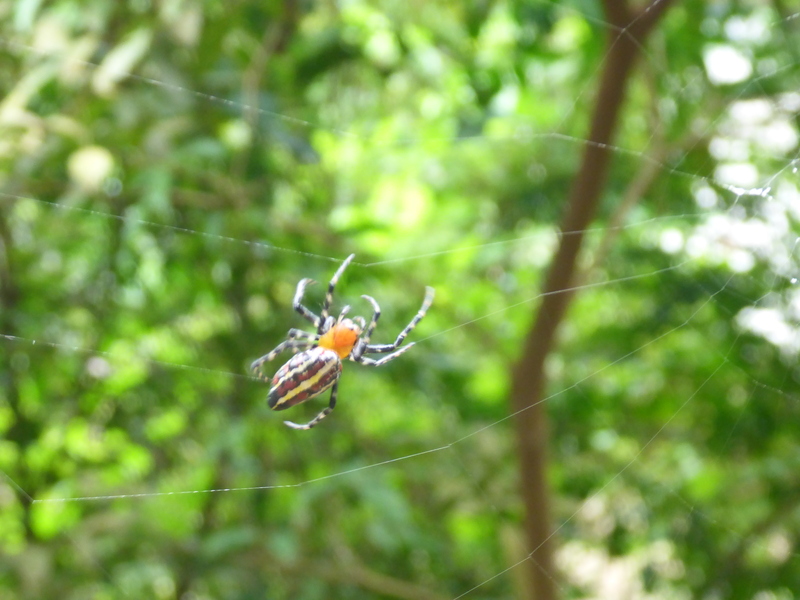 )… again, we were totally surprised by all the wildlife and loved every second of it. 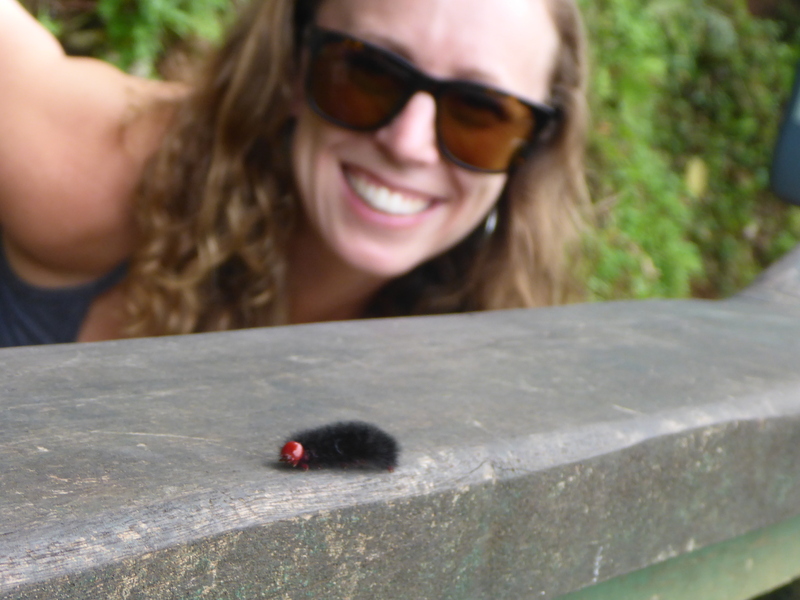 I kept thinking about my nieces and nephews – particularly Riley, Ben, and Stellan – who really would have loved seeing all the fun critters. Eventually we made our way back to the bus and into town. 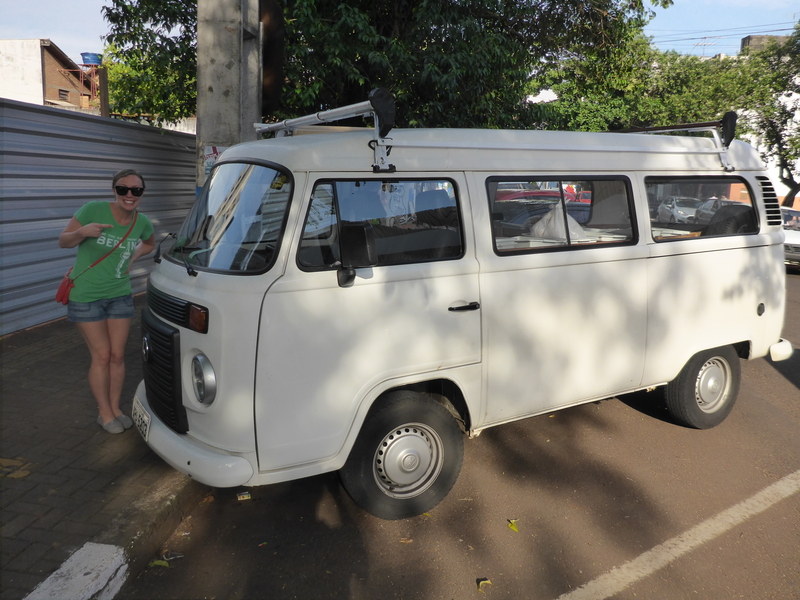 One highlight of Brazil for us so far is the prevalence of old-school Volkswagen vans which are used as utility vehicles everywhere – delivery vans, handyman vans, airport support vehicles, etc. They’re everywhere. Which gives us hope that once our van does arrive (still too soon to talk about it too much; we don’t want to jinx it), someone on this continent may actually be able to help us when, inevitably, we break down. For good luck we had to snap a photo with one. Dinner at the local pizza joint was well deserved after a long day out and about. The icing on the cake was the big bottles of beer, each with their own personal insulation. This is something Brazil does right. Previous Previous post: More Santiago!